Judges at the Southern Short Course in News Photography held in Charlotte, on Feb. 20 and 21st awarded second year Photojournalism student Caleb Smallwood a Honorable Mention in the Portrait/Personality category. 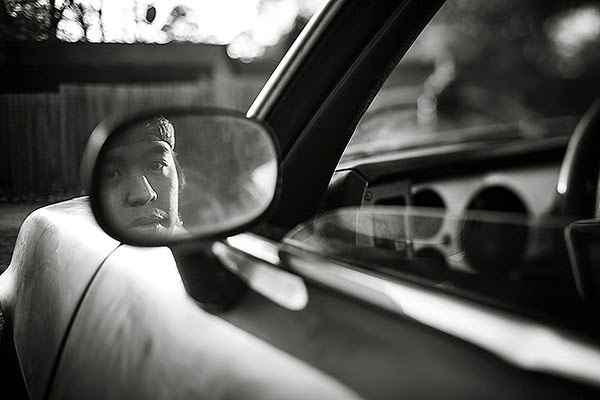 The photograph is of David Beltran, aka Starfoxxx, a Chicago-based Dj passes time in a rustic Pontiac Trans Am, editing his tracks for his upcoming performance at the Carolina Theatre in Greensboro. Caleb was competing against professional photographers from across the country.